RERA. How will RERA benefit you? RERA (Real Estate Regulation Act) is the new life-saver in town for all buyer who were previously tensed about builders betraying them. Real Estate Regulation Act (RERA) is going to shield buyers from delays, fraudulent claims and false advertisements. Homebuyers may finally be able to forget about inordinate project delays and filthy construction quality. The buyer will pay only for the carpet area and that it. The builder can't charge for the super built-up area, which is a common practice currently. For instance, where you get 900-1,000 sq. ft. carpet area if you book a 1,300 sq. ft. house (the rest is balconies and common spaces), you pay for the whole 1300 Sqft. in present day scenario. The new law is expected to stop this practice for good. The builder will have to provide a solution for any structural defect in the building for a total of five years. Basically, RERA also states that any structural defects brought to the notice of a promoter within a period of five years from the date of handing over possession must be rectified by the promoter. Builders can't use your money to make someone else's house, yes you heard that right. They did siphon off your money for some other project. The developer will have to transfer 70% money received from home buyers to an escrow account. The builder has to use this amount as per the stages of construction. In accordance to RERA, regulatory bodies and appellate tribunals have to be set up in each and every state to solve builder-buyer disputes. This has to be done within 120 days. For any changes to be made by the developer, the developer should have 2/3rd allottees consent. If they fail to get the support, then the design related or any such things can’t be employed by the builder in the particular project. Now you may think what advantages do buyers have for projects which are already under construction. Firstly, every real estate project (where the total area to be developed exceeds 500 Sq Metres or more than 8 apartments is proposed to be developed in any phase), must be registered with its respective state’s RERA governing council. The existing projects where the occupancy certificate (OC) has not been issued, those are required to comply with the registration requirements under the RERA Act. Secondly, after the implementation of the Act, home buyers will be able to monitor the progress of the project on the RERA website. This will be possible since promoters will be required to make periodic submissions to the regulator regarding the progress of the project. A brand-new project is coming up on the Tumkur Road, which will be RERA registered and under all the rules and regulation. Prestige Jindal City Apartments Bangalore is the latest brainchild of Prestige Group, offering 3000+ units in 1, 2, 3 and 4 BHK variants. Get in touch to get a detailed info about the project. It will surely amaze you, best-in-class project in North West Bangalore. Tumkur Road-The best real estate market in the Bangalore Region? The real estate market in Tumkur Road, may prove to be a better investment option, compared to its adjoining areas. We look at what’s on offer and the future prospects in Tumkur Road. Located on the outskirts of Bangalore, is a real estate market that has a plethora of options for property buyers. Infrastructure development has been the key differentiator that sets this locality apart, from the other realty markets in adjoining areas. Irfan Razzak, Managing Director of Prestige Estates Projects, maintains that there are several factors that attracts home buyers to Tumkur Road. Keeping this into consideration Prestige group is coming up with an upcoming project Prestige Jindal City. “Tumkur Road has witnessed rapid infrastructure development. From having nothing to now, having almost everything, this locality has come a long way. It also has ample land parcels. There is an abundance of land that is owned as plots or built up into the houses. It also has many chawls, which shall soon be converted into towers. This will upgrade the market price and lifestyle that the region offers,” he says. Owing to these reasons, Tumkur Road shall soon score over the Bangalore Region, feels Prestige Group. The upgraded elevated Tumkur Highway connecting to Nelamangala, announcement of the Bangalore-Mumbai Industrial Corridor, connectivity to the airport and the ORR have all worked in favour of this belt. Easy connectivity to key locations is changing the primarily industrial character of this region, triggering demand for residential options around. Being a large, growing industrial hub with available land parcels, the rise of this micro-market can also be attributed to improved connectivity through the NICE Ring Road to south Bangalore, presence of the Bangalore International Exhibition Center and the elevated expressway to the airport. What type of home should you buy in Tumkur Road? Experts suggest that home seekers who can afford to wait for a few years, should buy an under-construction property in Tumkur Road, as they come at lower price points and the payment can be spread over a period of time. Nevertheless, Tumkur Road also has a good supply of ready-to-move-in homes, for those who want to move in immediately. Amenities like parking spaces, play areas for children and recreation center, are now available in many projects and must be considered, before purchasing. Healthy growth in the residential and commercial real estate segments. Upcoming new projects in the area offer options for various buyer segments. Continuous infrastructure development in the area. Affordable pricing for upcoming projects in Tumkur Road. Prestige Park Square is an exceptional private task at present coming up on the Bannerghatta Road, South Bangalore. It is the best-in-class private venture coming up ideal on the Bannerghatta Main Road in this way making it a level out-of-the-crate private province. This is a dynamic and rich private improvement which is set to be propelled sooner rather than later. This is a standout amongst the most encouraging private endeavors coming up in Bangalore simply contemplating its restrictiveness which Prestige Group guarantees to be astonishing and top-class considering world-class designers are giving best of their psyches and abilities to this extend. This magnificent task will absolutely give stand-out involvement in this occupied and clamoring city of Bangalore. After all Prestige Developers are known for their great nature of work and on-time conveyance of ventures. Spread more than 8 sections of land of rich greenery and manufactured water highlights are certain to make an inhabitant ponder – climate is it a paradise on earth. The towers will have 40 stories each to suit every single intrigued family. Pre Launch Prestige Park Square will guarantee roomy and wonderful units for each one of the individuals who wish to live jumbo in a castle. The finishing of the venture has been arranged such that it serenades every one of the inhabitants and leads one to an open space where one is sans set to nature. The undertaking will sprawl over a few sections of land of land to leave abundant measure of open space to give the inhabitants a breezy feel. The venture will offers in each of the an agreeable loft way of life with a tinge of modernity to make the lives of the inhabitants less demanding to lead by. The rundown of conveniences at Park Square is certain to awe every last one, since they overflow selectiveness. An occupant at Prestige Park Square Apartments can loosen up till a degree where he/she can feel that life can likewise be with no confusions, in any event in the wake of coming back from a hard day at work. One can expect finish peacefulness and quietness ideal here at Prestige Park Square. Presently proceeding onward to the floor designs that will be on offer - The format of the units have been composed in order to accomplish ideal space and usefulness. This undertaking will comprise of 2 BHK and 3 BHK flats and they will be housed in a few towers which will be specked over the whole property; the towers will be spread over the tremendous breadth which will be loaded with the unending greeneries to mitigate one's eyes. The floor-plans are exceptionally very much arranged such that the inhabitants can make the full utilization of every last bit of a unit that they wish to buy and make it their paradise. All things considered, toward the finish of a day loaded with different strenuous exercises one would really wish to return home to a serene and unwinding climate. You will discover finished rooms in each level and incredible partition with the furniture configuration, marble fitting, lavish vitrified tiles, electrical power accommodations and wiring in the divider. Bannerghatta Main Road helps all the availability to different parts of Bangalore. Prestige Park Square Location Map has many schools, healing facilities, IT Tech Park, business edifices and numerous other social framework in the closeness. In this way, the financial specialists can consider over contributing on this undertaking as it will be a lucrative speculation without a doubt. Each inhabitant will find that in Bannerghatta district delightful green cover, plants around the pathways, excitement zones, media focus and game complex are. Youngsters too will gain their insight in the best schools, kids play schools, establishments of advanced education, and so forth which are situated in the region. Moreover, there are such huge numbers of social enhancements arranged here, for example, healing centers, nursing homes, post office, voyaging office, resorts, lodgings and excitement zones and so forth., along these lines their quality will guarantee an agreeable life. Apartments In Bangalore One has to Start Investing In! The price of the apartments is based on the request value. All the apartments ensure housing nearly millions of dreams of people. Keeping in mind your need for privacy, comfort and a lot of peace and quiet within, every single individual living here can give you a feeling of the luxurious world of happiness and peace. Designed to infuse optimum ventilation and sunlight, these high-rise abodes are an amalgamation of historic charm and modern-day sophistication. Prestige Estates Projects Ltd. invites each and every potential buyer to envision a perfect lifestyle every day at PrestigeJindal City Property in Tumkur Road, Bangalore. Prestige Park Square is a future lavish residential project from the Prestige Builders. Prestige Park Square is situated in one of the best localities of Bangalore which is Bannerghatta road and having nearness to Electronic city, the Outer bypass and the Nice Road. Bangalore hosts many IT companies, best residential flats, good colleges and hospitals and can surely fulfill all the wants of the individuals living during this space. Prestige Park Square Bangalore is like an oasis of peace within the heart of the town. Prestige Park Square is planned to build each flat a haven of privacy. Prestige Park Square offers 2, 3 and 4 bedroom units to choose from. A clubhouse that's well appointed with best amenities rounds things off to the perfection. Prestige Park Square development has the proper quantity of house you would like, all the luxuries your life style demands, whereas still positioning you shut to the town centre. Amenities: 2Party Halls, Swimming Pool, Gymnasium, Prestige Park Square Spa & Health Club, Basket Ball Court, Indoor Squash Court, Tennis Courts, Indoor Badminton Court, Table Tennis, Billiards, Reading room, Indoor Board games, Space for convenience store, Space for ATM, Space for Crèche, launderette, Cards room, Open Terrace Party Area and Mini theatre. Prestige Park Square is one of the mega prelaunch residential projects by Prestige Group. Prestige Group is spreading its wing in one of the best localities of Bangalore with ultra modern technologies. Prestige Park Square is located at Bannerghatta road in Bangalore and is evolving to the next real-estate hub of the garden city Bangalore. Prestige Park Square will be one the of the best landmark project from the Prestige Group. Apartment’s types are 2, 3 and 4 BHK. Location of Prestige Park Square Bannerghatta, Bangalore – New forthcoming project from Prestige Group, situated at Bannerghatta road in Bangalore. The appealing yet accomplished section in Prestige Park Square project is being constructed by using the newest know-how, thus creating an impressive retreat for one and all. Prestige Park Square extensively sits on large acres of land with beautiful greeneries that is fully spread all through till the beyond. Prestige Park Square is rightfully located in Bangalore and is situated in proximity to all facilities. Prestige Park Square is one of the extraordinarily designed projects that are urbanized with amplifying features of ultra-modern grade. All these features make Prestige Park Square a favorable place to live-in with comfort and wonderful life. Investing in Real Estate? Here is an apt project to invest in! Picturizing a home a long way from all the humming about of the development and tainting of a cosmopolitan city – Yes!! Prestige JINDAL – Bangalore is the best region to fill ones lives with astounding viewpoints and a blend of outside air and sunshine to mitigate one's mental conditions. Prestige Jindal is the place this kind of fantasy world will be shaped into reality soon. 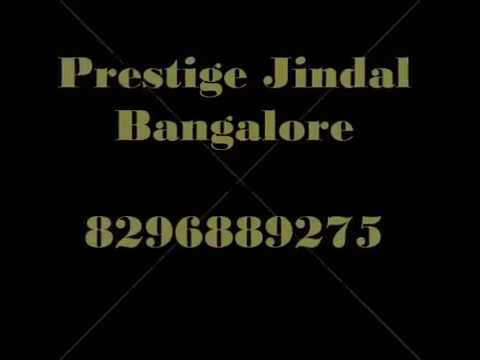 Prestige Jindal – Tumkur Road is a dazzling cabin complex from Prestige Group on the charts of the Bangalore City. The strong private premises of the PRESTIGE JINDAL CITY – Bangalore is spread over a massive domain of more than 30 segments of land. An aggregate of 15 towers spread of 5 deters with Vaastu consistence in 95% of the units would be open. 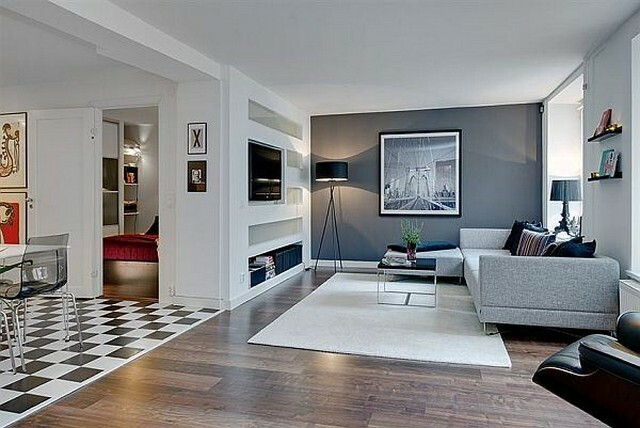 Prestige JINDAL – has distinctive floor means to suit the necessities of nuclear and furthermore joint families. Prestige Jindal City gives a wide display of overwhelming features which meet the requirements of each. The private land is allocated by the change expert of Bangalore. Close by this, it is arranged and not any more pervasive and all around related in Tumkur road, Bangalore. Prestige Jindal City offers 1, 2, and 3 BHK Units For Sale In Tumkur Road. Adjacent this, it is additionally consider by the most unmistakable modeler best associates and professionals. Boundless green and engaging plot, eco-satisfying structure, ventilation for each unit, normal lights, these private meander bring you rich and magnificent way of life. The task Prestige Jindal City change joins two or three work environments, and also enables occupants to use the earth shattering near to a shocking social event path. General Prestige Jindal City will be the blessing from heaven meander for all examining for a lifetime speculation opportunity. Prestige Group will exhibit a rising private apartment suite in the IT city of country Bangalore in Tumkur Road as name Prestige Jindal City. It has uncommon class of residency components and world class towers of level in which severals tenants will feel the glad moment with the family. Bangalore is generally called Electronic city on account of various endeavors, associations and business focus focuses for the specialists. In case you are looking home property in south India then your interest will be end to come in the Prestige Jindal City Bangalore. Outside ring road is the acclimating to entire city and interfaces with an expansive bit of expressways like NH4 and NH 7 et cetera. 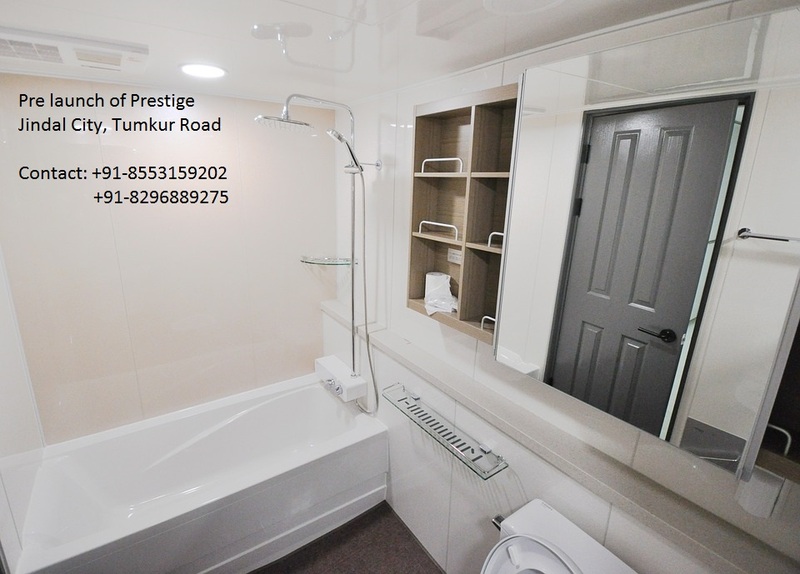 In the wake of survey the housing as to the residency Prestige fashioner has went with their captivating property in Tumkur Road, Prestige Jindal City with including 1/2/3 BHK apartment in Tumkur Road. The flat is near the city railroad station and close to the shopping complex.Prestige Jindal City Home property is accompanying sumptuous offices that you will never discover whole engineer's apartment.Prestige aggregate has wanted to offer secluded room sets in the building which will interface each other by means of huge exhibition. You will see kitchen, lavish lounges, finished corridor, lounge area and visitor room in each flat.Walls will have put with intriguing shades of paints and a hefty portion of strong building materials like divider putty etc. Prestige Jindal City Tumkur Road loft has consolidated with number of building parts, for example, air conditioning prepared rec center, indoor diversions room, security stand and club house with many civilities. All details of Prestige Jindal City Pricing will be available on request.